When it comes to predictive methods there are more aspects to consider. In this post I’ll cover several of them. Many of these distinguishing characteristics are related to the differences in the variables; independent (in rows) and dependent (in columns). 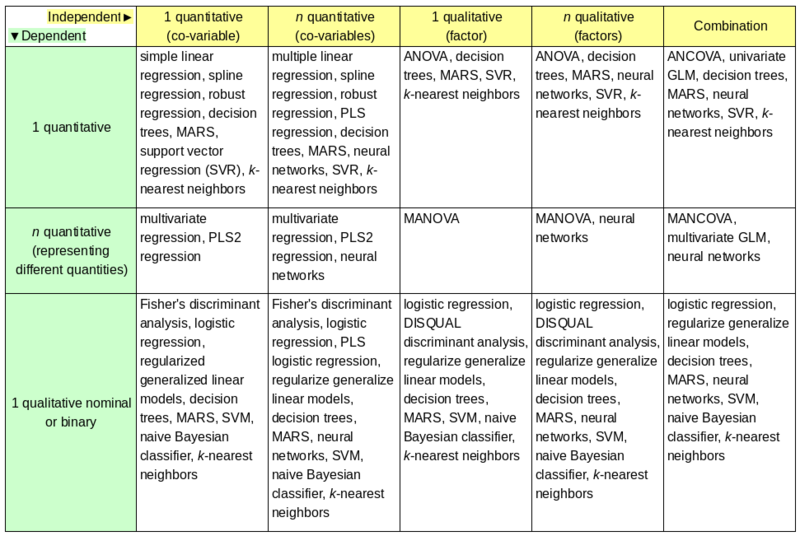 Rows (independent variables) with quantitative and qualitative data are only relevant if the columns (dependent variables) correlate with each other. 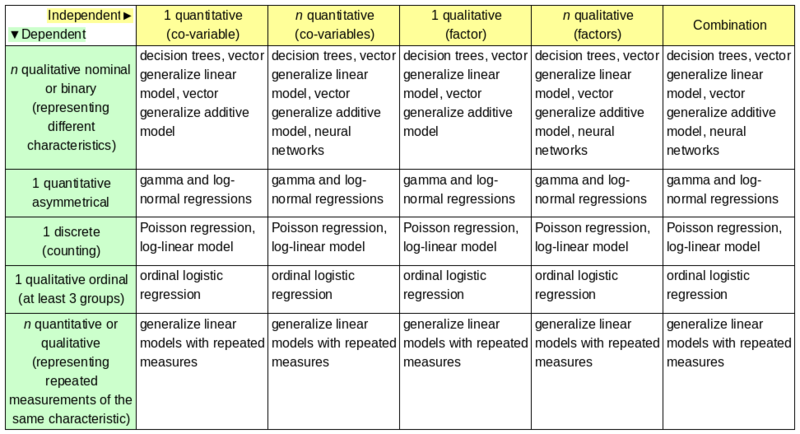 This table may help… a little. In the next post I’ll discuss advantages and disadvantages of the various data mining methods.